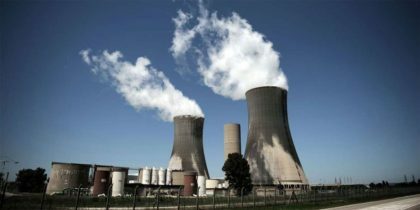 The Kenya Nuclear Electricity Board (KNEB) last weekend said slow economic growth and poor power demand could delay the East African nation’s ambitious nuclear energy program that was to go live in 2027. According to KNEB, the 2019 economic growth forecast could jeopardize their plan to produce 2,000 megawatts (MW) capacity power by 2027. Speaking during a public hearing on Nuclear Regulatory Bill, the Board chairman Ezra Odondi said attainment of the program could protract for up to 10 years. The country needs to have the capacity to consume the energy to make the venture viable, Odondi stressed. He said Kenya Vision 2030 has identified energy as a key enabler for its realization. For this to be achieved, Kenya needs to establish an elaborate manufacturing sector, completed with integrated steel mills among others. The country will require an estimated 16,000 megawatts of electricity by 2030. Nuclear energy has been identified as a stable, efficient and reliable source of electricity to spur industrial development and stimulate economic growth. The current infrastructure under construction is capable of producing 1,000 MW costing between $5-$6 billion.